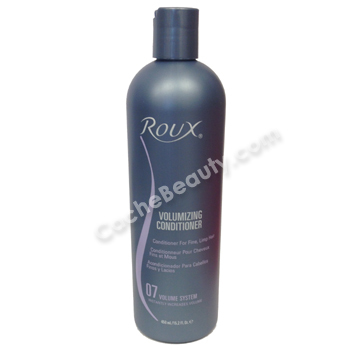 * Roux® 07 Volume Conditioner is specifically formulated to revive flat, lifeless hair. *Powerful silk proteins condition hair and increase fullness while Vitamin B complex gives hair beautiful shine. *When used together, Voluminzing Shampoo, Volumizing Conditioner and Treatment and Shine increase volume by 24%!